When thinking of California Dreaming, Malibu would probably be one of the words to put on the whiteboard. No other beach town in California is at the same time so posh and so laid-back. Often misunderstood as being all celebrity and billionaires villas, Malibu is so much more. 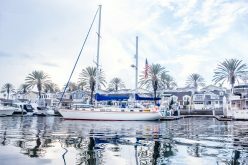 A mix of high-end restaurants and affordable seafood shacks; golden beaches and magnificent mountains; tie-dye shirts and designer leggings. 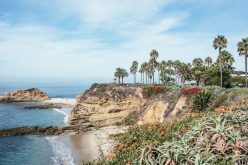 While Malibu is more known as a day trip destination (or you are so lucky to have a friend living in Malibu) things are changing with two newly opened hotels that welcome visitors for an overnight stay or two. Here is our 12 hrs Malibu guide for you. Aim to arrive in Malibu around 11 am and go straight for lunch at Malibu Farm Cafe. This might not be an insider tip, but it’s a Malibu institution worth grabbing a bite or two at. Gorgeous ocean view and Insta-worthy design are included. 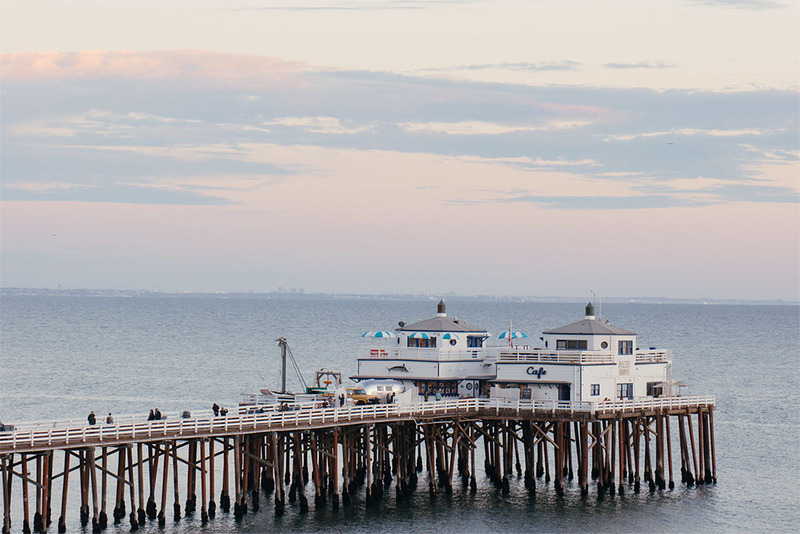 All local ingredients and gentle preparation methods are signature of this food spot at the Malibu Pier. On your way off the pier stop at the Ranch at the Pier and maybe you will already have your souvenir situation covered. You might have an hour or two until you can check in into your hotel, so we think that ‘layover” time is best spend at the beach. Spread your blanket, kick your shoes off, paste yourself in sunscreen and get a good dose of Vitamin D. There are many beaches to choose from in Malibu. We just cannot choose a favorite but here are some suggestions: Latigo Beach, Point Dume or Surfrider Beach. Or any other, you cannot go wrong. Snooze a bit or just watch the surfers riding the waves. It’s somehow calming. Need to stretch your legs a bit? We recommend a walk at the El Matador beach. With all the cliff formations and caves. El Matador is a perfect beach hike. Time to get your room. 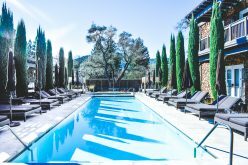 While staying in Malibu mostly meant checking in into a retreat-y type of hotels, which for most people would break many banks, two new, hip hotels are making Malibu attractive for an overnight stay. First up: The former Malibu Riviera — a hideaway for celebrities like Marilyn Monroe or Bob Dylan back in the days — is today a hip Native Malibu. The revamped 50s motel features sleek yet comfortable rooms equipped with king-sized beds with Casper mattresses, carefully stocked mini bar, chic bathrobes from African fabrics and hotel’s own line of toiletries. The second is the Surfrider. 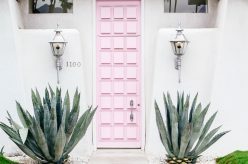 A “modern California Beach House’ where guest are welcomed into tranquil, calm space filled with natural textures, neutral tones, organic textiles to relax and rejuvenate. The beach vibes are everywhere; from the rattan pendants to linen pillows. The Surfrider also scores with the roof deck bar overlooking the iconic surf spot, First Point. We know, it’s a tough choice. No matter which hotel you pick, enjoy it for a bit. We all tend to rush pretty quickly out into the wild again, to see, shop, photograph or eat something, spending way to less time in the hotel room. Maybe you treat yourself to another long nap, maybe you read a book, take a long shower, hang out in the hammocks, what ever you do – stay for awhile. Paradise Cove Cafe has been a Malibu favorite for over 50 years. The nostalgic cafe is dishing up everything from BBQ to seafood to locals and tourist alike. Leather booths, images studded walls and good, satisfying food. Try to get a table outside, order the hot combo sampler and watch the sun dip into the ocean. Listen to the waves crashing against the sand on Zuma beach and enjoy a cocktail at the Sunset. On the weeknights they have a happy hour until 9 pm. It’s a good way to end the day. It’s time for a good night’s sleep. Tag us on Instagram if you do this Malibu itinerary! 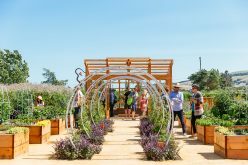 For more California itineraries, subscribe to our newsletter! Thanks for sharing 10 day malibu tour experience with us. Malibu is a beautiful city full of picturesque views. It has excellent beaches where one can go swimming, sailing and indulge in other water sports. There are a number of parks which have facilities for baseball, soccer and other sports.